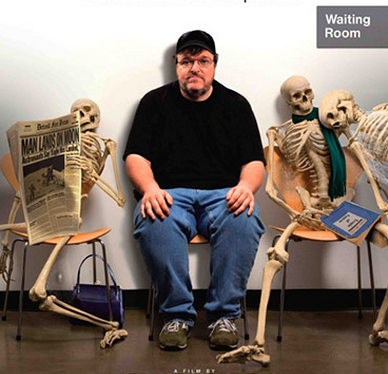 DENVER – Oscar-winning director Michael Moore joined the constantly growing ranks of endorsers of ColoradoCare, voicing his support of a YES vote on Amendment 69 to his 3.2 million Twitter followers. Moore joins internationally renowned luminaries like Senator Bernie Sanders, Gloria Steinem, Patch Adams, and Noam Chomsky along with thousands of endorsements from physicians, nurses, small business owners, and other individuals and additional endorsements from organizations like The League of Women Voters of Colorado, National Nurses United, Progressive Democrats of America, the Colorado Democratic Party Platform, Public Health Nurse Association of Colorado, Rocky Mountain Peace and Justice Center, and Together Colorado. Moore is a natural fit in a campaign that has featured a grassroots movement championing a “people first” approach to health care, prioritizing patients over profits and taking on the giants of the corporate health care industry, the only ones who stand to lose with an Amendment 69 victory on Election Day. Moore rose to prominence with his film Roger and Me, and he has followed with a string of successful documentaries including the Oscar-winning Bowling for Columbine, the all-time documentary box-office champ Fahrenheit 911, last year’s Where to Invade Next?, his current release Michael Moore in Trumpland, and 2009’s Sicko , which made use of Moore’s trademark humor to document what Roger Ebert called “the litany of horror” in the dysfunctional U.S. health care system. The film’s emotional climax came when Moore traveled to Cuba with three boatloads of sick Americans — including a number of 9/11 volunteers who were denied care at home but were welcomed into hospitals in Havana and finally given the treatment they needed. On the heels of Sicko, The Affordable Care Act brought health care to millions of uninsured Americans — including those with pre-existing conditions — and cut Colorado’s number of uninsured residents in half. With the open enrollment period for 2017 launching on November 1, however, Coloradans are faced with 20% increases in the premiums for individual plans on the market, pricing hundreds of thousands of Coloradans out of the health care system and threatening to expand the 20 percent of our population — over 1 million residents — who have no usable health care coverage due to prohibitively expensive deductibles. Amendment 69 will bring guaranteed comprehensive coverage to every Colorado resident, just as Medicare offers comprehensive coverage to every senior. Insurance premiums, deductibles, and most co-pays would be replaced by a simple 3.33% payroll deduction for employees and 6.67% for employers. The ColoradoCare model has been tested the world over, and Amendment 69’s “Medicare-for-All” model is based on the most effective, efficient, and popular government program in the United States, Medicare itself. Cutting the profit motive and the 20% administrative waste the corporate insurance industry takes from every health care dollar saves Colorado a collective $4.5 billion, amounting to thousands and tens of thousands of dollars going back into the pockets of individuals and families under ColoradoCare.